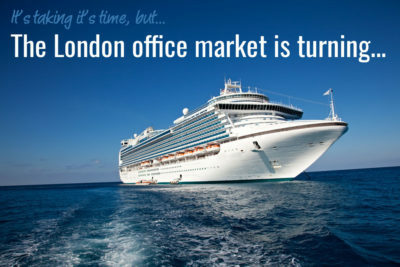 The central London office market is a bit like an ocean going liner. It takes ages to turn around. I’ve been talking about the prospect of falling rents since November 2016. But it is turning now. The problem for landlords (and existing tenants) seeking to offload space, is they can’t find any tenants! Who would want to sign up for years on a lease now unless they have to? Suppliers don’t like holding stock in any industry, but empty office properties burn financial resources more ferociously than most. For example, after initial rating relief for 3 months, landlords stuck with vacant properties have to pay business rates at 100% until they can sign up an occupier. And tenants with surplus accommodation have to pay full occupational costs (rent, rates and service charges) until they or their agents can persuade another tenant to take over their lease! It doesn’t take an economic guru to make a few observations for 2018 if this standoff between supply and demand continues. 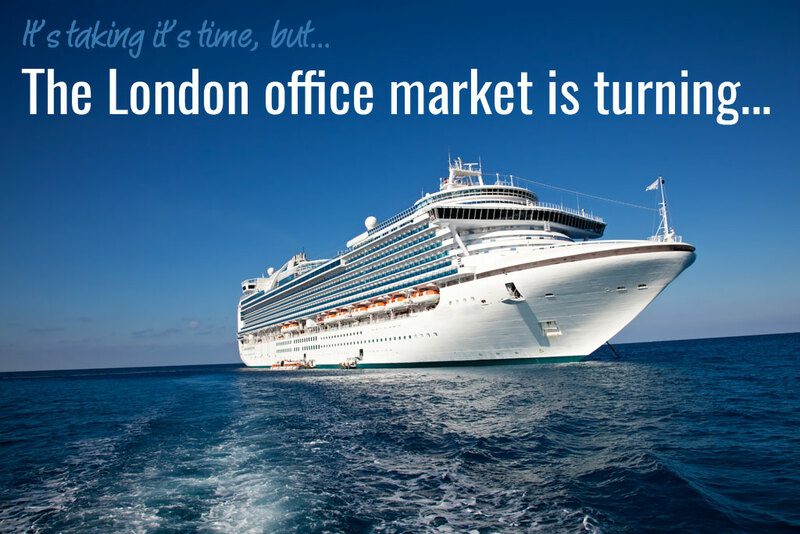 The central London office market is a bit like an ocean going liner. It takes ages to turn around. But it is turning now. Reduced rents and more incentives for tenants? I think we will see landlords being increasingly prepared to reduce the quoting rent. And they will increase letting incentives (such as rent free periods) to encourage tenants to take their office space. Tenants seeking to offload surplus space will have to offer reduced rents, often below the rent they are paying themselves. So they will mitigate cost, but will still have to bite the bullet. Frustratingly and astonishingly, many leases still make it difficult for tenants to market surplus office space at a cheaper rent than they are paying under their lease. In these circumstances, we have seen a number of tenants offering a reverse premium to pay another party to take their lease. All fun and games. But there are always companies taking new office space for a variety of reasons. They will be well placed – ideally with our help – to do some great deals. Ian has advised Central London office occupiers for over 20 years. He loves fighting their corner and making sure they get what they need - a great office on the best commercial terms available.